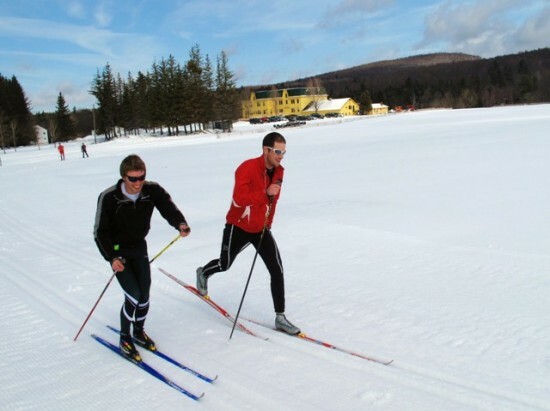 Years ago, NCAA skiing used to combine cross country, alpine, and ski jumping. Individuals could compete in one or all disciplines, but the best overall skier in all disciplines was considered the “Skimeister.” Unfortunately, in the age of specialization, we no longer have true Skimeisters. 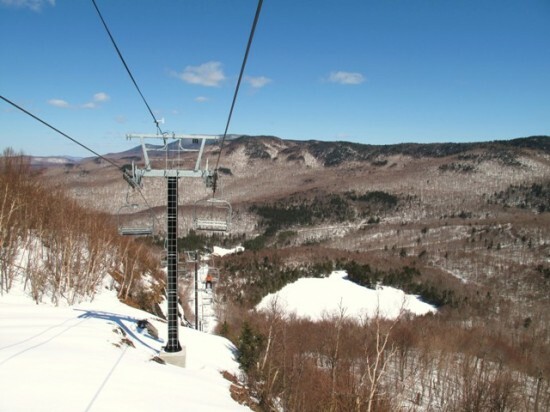 This past weekend in Vermont, however, afforded the opportunity for everyone to become a skimeister with ideal conditions on both the alpine slopes and nordic trails. Did I mention that it’s already April?! 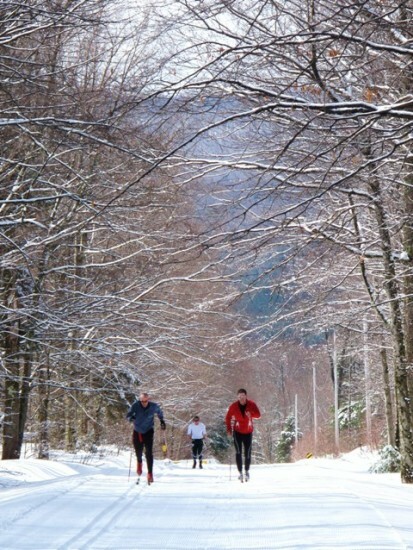 Jake Whitcomb and Matt Trueheart get after it on skinny skis at Bread Loaf (yes, Patty, that’s two words). The grooming was impeccable and I ripped around on my new pair of Salomon Zero skis with a synthetic base for a kick zone–all the joy of klister skiing with none of the clean-up. Out on the trail, we ran into environmentalist, writer, and Midd Prof. Bill McKibben and Middlebury Ski Team coach Andrew Gardner. 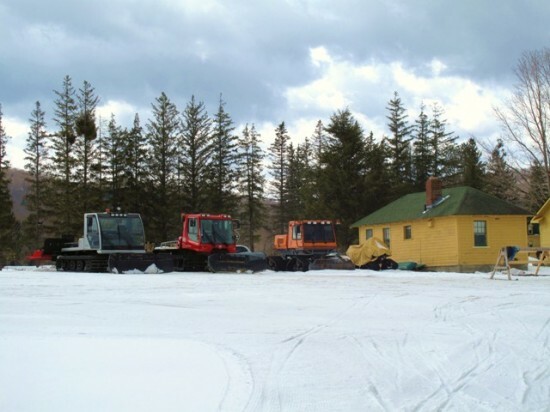 The crew at Bread Loaf did a great job with the trails and groomed the Forest Road all the way to Ripton–a trail I’ve never skied before. It was one of those days you dream about all summer, waiting for the snow to fall again. McKibben and Gardner somehow dropped the much younger Whitcomb/Trueheart duo as they cruised beneath Bread Loaf mountain. Does it get any better than a day like that? Of course! Sunday was, in fact, even better as the temps rose and the sun came out. We opted to pull out the Alpine boards and head up the mountain to the Snow Bowl. 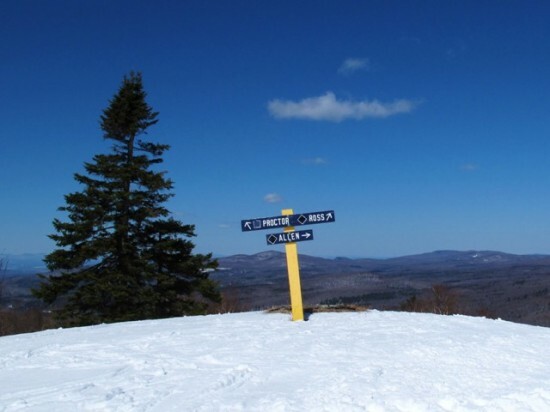 For some reason, they closed both Bread Loaf and the Snow Bowl after this weekend, despite one of the deepest snow bases in decades. I look forward to getting back into the mountains to hike up, earn some turns, and soak up the rays as we move further into April. Did I mention they got more snow last night? The coming weekend might turn into a winter triathlon of nordic, alpine, and a lot of biking. . .the newest version of the Skimeister.